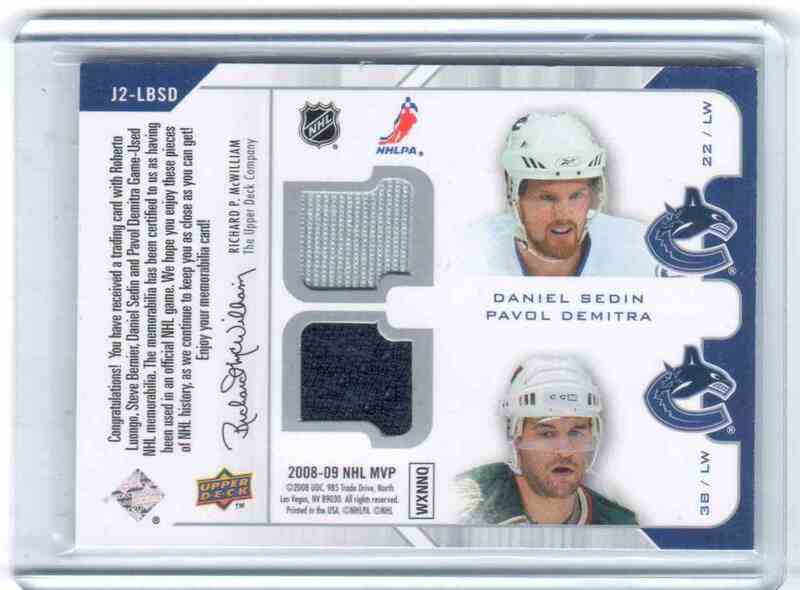 This is a Hockey trading card of Daniel Sedin, Pavol Demitra, Roberto Luongo, Steve Bernier. 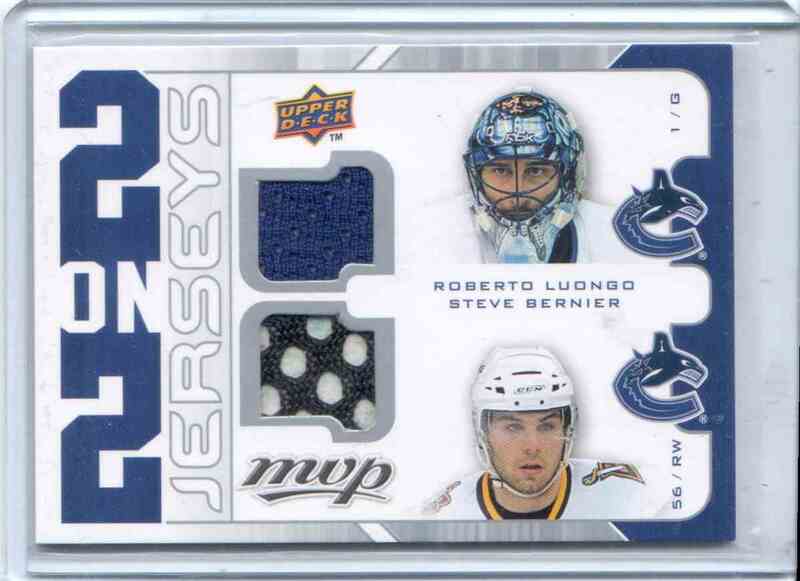 It comes from the 2008-09 Upper Deck MVP 2 On 2 Jerseys set, card number J2-LBSD, embedded 4 Jerseys. It is for sale at a price of $ 5.95.